Many Bay Area old-timers (and young-timers who appreciate old things,) remember San Francisco’s Playland at the Beach. Until it closed in 1972, Playland was considered the Boardwalk’s sister seaside amusement park. In 1922, Playland's Big Dipper Roller Coaster was erected by Arthur Looff. Two years later he built  the Boardwalk’s Giant Dipper. Over the decades, a periodic exchange of ideas transpired between Boardwalk and Playland management. I rode Playland's Giant Dipper once, I couldn't have been more than 8-years old. The park featured "It’s-It" ice cream delights, which I can still enjoy today! I took a turn in their Diving Bell, a leaky contraption that submerged into a murky, almost fish-less tank. I recall seeing and hearing Laffing Sal at her Fun House perch. Her maniacal and menacing laugh could be heard all through the amusement park and probably for blocks away. She performed her shill job very well, beckoning park-goers into her Fun House domain. There's a lot more to the saga of Laffing Sal! When Playland closed in 1972, an eccentric collector of curiosities named John Wickett bought Laffing Sal and sequestered her in his invitation-only museum of San Francisco exotic oddities. She silently resided there for 30-years. At Wickett’s death, his collection was auctioned. He had previously stipulated his desire that Sal be acquired by someone who could make her available for public enjoyment. However, he did not specify that she needed to remain in San Francisco. Charles Canfield, President of the Santa Cruz Seaside Company then entered into  Sal's story. Charles got a call one day in early 2004 that alerted him to Sal’s availability. He fondly remembered her as a unique icon of old seaside amusements in the San Francisco Bay Area. On a nostalgic hunch, he sought to place an offer for Sal but quickly discovered there were already 20-suitors and 4-bidders ahead of him. One bidder was willing to spend $40,000 for Playland’s ballyhooed  attention-grabber. Although Charles was always up for a competitive challenge, Sal’s price was  more than he initially thought she was worth. To test his instincts with other Seaside Company  managers, Charles made the rounds seeking confirmation of his expensive hunch. I remember the conversation he had with me. I could not conceive what the company might do with Sal and did not encourage Charles. Seems like I was not alone. No one in management gave Charles a sense that getting Sal served a purpose for the Boardwalk. Then last of all, Charles talked with our Art Director Kimberly MacCloud, a lover of all things nostalgic, who gleefully told Charles to "Go for it!" With her one expression of affirmation, Charles bid up his offer to $50,000, and Laffing Sal became ours. Boardwalk Entertainment Technology Manager Mark Hersey remembers traveling with his boss to fetch Sal from Wickett’s museum. Not aware of her former renown, he thought she must really be a prized asset to command the price we paid for her. He was shocked to find Sal as a jumble of fading clothes, cracked and chipped layers of papier mache, and ratty red hair. To Mark, her simple mechanism - motor, transmission, and two cams - seemed the best part of her. Mark and his boss carefully wrapped her up and brought her to the Boardwalk where a welcoming group of staffers gathered to commemorate her arrival on April 22, 2004. Sal's fate at the Boardwalk  still needed to be figured out. To help evaluate her nostalgic appeal, we elected to  put Sal on display for seven hours on each of two days in mid-June 2004. With a Boardwalk security officer by her side, she sat center-isle inside Neptune’s Kingdom. Press releases announced her Boardwalk debut. Surprisingly, some prominent Bay Area newspapers reported the event as front-page news! They poked good-natured fun of our gap-toothed Sal. Several disparaged her as "a cross between Howdie Doodie and the Hunchback of Notre Dame" and someone "more befitting a hayseed bit player on ‘Hee Haw.’"
The public's response was overwhelming. Carloads of people flooded in to see Sal once again and celebrate her Boardwalk arrival. Her soft unveiling convinced us she required a permanent and prominent, Boardwalk stage. A mini-controversy ensued in the press  as well. It seems there were two Sal’s at Playland at the Beach – one a substitute to the leading player. San Francisco’s Musee Mecanique had another Sal, professing her as the main player. Additionally, someone else claimed to have Sal’s original head that was surreptitiously snatched as a souvenir by a Playland devotee when the park closed. Seaside Company archivist Bonnie Minford searched the records to assure Charles Canfield his acquisition was the "Real McCoy." Skillfully comparing our gal Sal to historical Playland photos, Bonnie was quoted as saying, "We know because of damage on the figure that can be seen on old photographs that  we have the original head and body." Boardwalk Marketing VP Marq Lipton added, "We are confident of Sal’s pedigree." By the end of 2004, Seaside Company staff began a multi-phased restoration of this early animatronic figure. Her paper-cardboard bodywork was in such bad shape we shipped Sal to an antique paper restoration expert for a two-month work-over. Our Technical Services and Maintenance staff rebuilt her mechanics – a new motor, a rebuilt transmission and refurbished connecting rods for her torso and arms. Tech engineer Donaven Staab digitized her audio track after running it through modern audio filters to ensure her maniacal cackle was as sharp as the day she first appeared  eight-decades earlier. Sal desperately required a new wardrobe, too. Maintenance administrative assistant Crecia Munson revealed her seamstress talents, and it became her task to outfit Sal with new, and historically accurate, attire. Crecia searched fabric stores throughout the Bay Area to find exact material replacements for Sal’s wardrobe. She found most modern lace too shiny for Sal’s tastes, but a store in San Jose had the just the right fabric. Crecia masterfully replicated by hand all Sal’s garment pieces. By Spring 2005, Sal fit nicely into her new wardrobe! While restoration was transpiring on Sal, Boardwalk staff prepared to utilize her in a manner faithful to her original calling as an attention-grabbing shill. We decided to renovate the Boardwalk colonnade entrance to Neptune’s Kingdom and establish a secure stage for Sal, a project that was certain to double the Boardwalk’s economic stake in our amusement icon. R & R Design of Southern California received a photograph of the marque of the Santa Cruz Del Mar motion picture theater with the maxim – "Design something like this!" They worked up several conceptual renditions of a new Neptune’s Kingdom entrance before we settled on one. That version perched Sal on the left side of the entryway at a spot sure to attract passers-by. From there, she would gaze over a display on the right side that paid homage to the many seaside amusement parks that dotted the California coast back in the day. 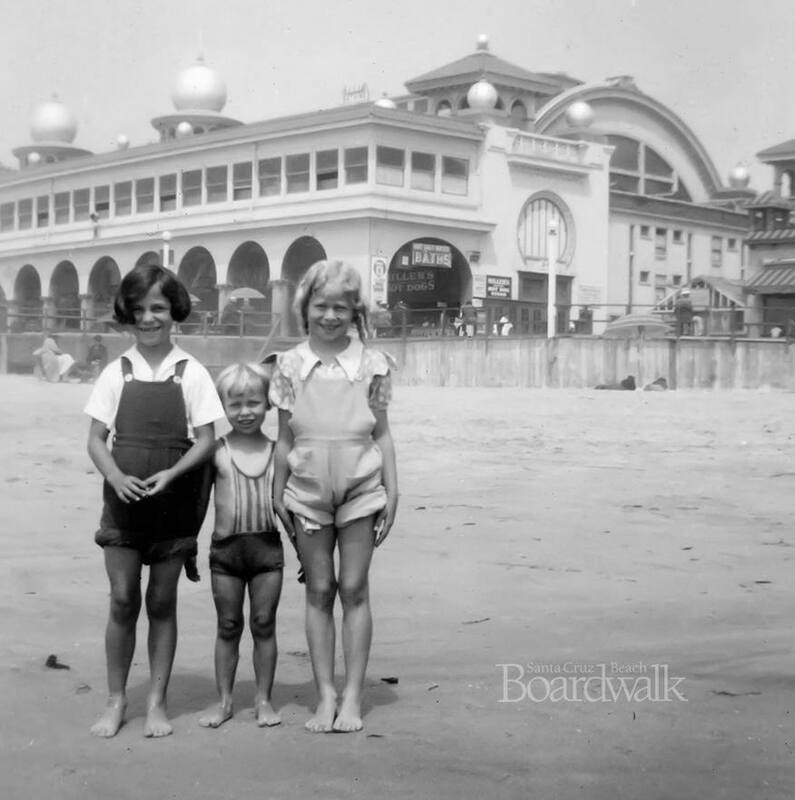 The Boardwalk is the only continuously operating seaside park that still exists in the Golden State. We were proud that Sal would be back doing what she was designed to do, in a setting fit for her lineage. The big day for Sal’s career come back  came on Friday, May 27, 2005, eleven months since the public’s first glimpse of her. Mayor Mike Rotkin proclaimed that day "Laffing Sal Day" in Santa Cruz. About 50-people gathered as the black curtain slowly unveiled the renaissance of our iconic, freckle-faced senior citizen who immediately belched out the first laugh of summer. Sal went to work hooting up a storm, her gyrating torso clearly  relishing her role in her new home. It’s been that way ever since, save for just a few short maintenance breaks. Interestingly, Laffing Sal’s cackle can be heard fairly near the Boardwalk’s Double Shot Ride, which opened that same 2005 summer season. Charles Canfield is fond of saying, "Just keep making the Boardwalk better!" That year's fulfillment of his simple vision dramatically revealed a secret to the Boardwalk’s century-plus years of success – juxtaposed between the Double Shot and Laffing Sal - focusing one eye on the future while keeping one eye on the past. Do you remember Laffing Sal from Playland at the Beach? What does Sal’s laugh evoke for you?